Instant messaging was once tipped to replace e-mail, but recent figures suggest that it has lost ground sharply. Why? OMG. Instant messaging (IM), once the mainstay of teenage gossips, techie know-it-alls and office time-wasters everywhere, looks as though it is in trouble. Just a few years ago, it was meant to be the future. More immediate than e-mail, less fiddly than texting, sending an IM was widely expected by many technology pundits to become our preferred mode of online communication, whether socially or in the office - or socially in the office, for that matter. In 2007, 14% of Britons' online time was spent on IM, according to the UK Online Measurement company - but that has fallen to just 5%, the firm says, basing its findings on the habits of a panel of 40,000 computer users. The study was released shortly after AOL sold its ICQ instant messaging service $187.5m (£124m) - less than half what the company paid for it in 1998. It is a far cry from the early days of the decade when this very website anticipated that IM would overtake e-mail by 2004 [see internet links]. Cast your mind back to the early noughties - a time when dial-up was still widespread and the Apple G3s looked futuristic - and it becomes easier to recall why IM looked like it was about to conquer the world. It was, after all, instant. It let users see if their friends and contacts were online and, if so, communicate with them in real time. Tech-savvy office staff could chase up a query and expect an answer straight away, without having to pick up the phone. Teenagers in their bedrooms could exchange schoolyard tittle-tattle without the encumbrance of having to press "refresh" on the browser screen to their web-based e-mail account. 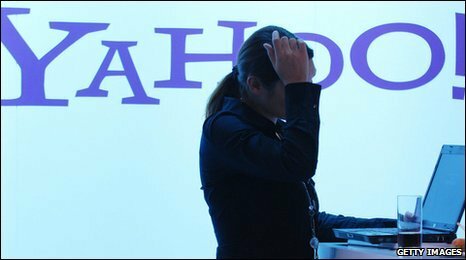 It also offered workers a handy means of circumventing their employers' e-mail usage policies. Chris Green, a technology journalist turned industry analyst, recalls the heady days of IM's ascendency. "That was the way it was going," he remembers. "E-mail had peaked. And IM offered additional value over e-mail." There were niggles, however. Initially, IM systems were "proprietary" and non-compatible, so those using Microsoft's MSN Messenger were unable to reach friends on Aim, ICQ, or Yahoo! Messenger. The firms would subsequently allow cross-pollination of their systems, but, says Mr Green, the delay in "finding something that was ubiquitous across all platforms" - in the same way that sending an e-mail from a Yahoo! to a Hotmail account was seamless - cost the format dearly. Into the vacuum stepped social networking sites. Paul Armstrong, director of social media with the PR agency Kindred, believes that the rise of the likes of Facebook and Twitter - which allow users to do much more than just send messages - simply had more to offer. "With instant messaging you have to stay at your computer," he says. "With social networking, you can use your phone's web browser or SMS. "Rather than shifting away from instant messaging, people are using the functions of instant messaging on different platforms." Even though Facebook's own instant messaging system - not covered in the UK Online Measurement habits - was widely-regarded as inferior to those provided by the established IM networks, users were tied into a one-stop shop for sharing thoughts, photos, and being re-introduced to long-forgotten former colleagues and classmates. The effect on IM, says Chris Green, has been catastrophic. Windows Live Messenger - formerly MSN Messenger - was no longer "bundled" with Vista and Windows 7, becoming instead an optional extra, he says. 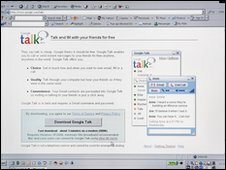 Google may be bullish about Google Talk, the search engine's attempt to blend IM with e-mail, insisting that millions of its users "love the convenience and simplicity" of the service. But Mr Green says its modest success represents a "flop" when put alongside the company's dominance elsewhere on the web. "People have moved on," he says. "The novelty value has worn off. If you look at teenagers today, they are using Twitter on their mobiles." But has IM died out altogether? The figures would suggest that although its market share has fallen, its raw numbers have not. Plenty of browsers, it seems, still value the speed and simplicity of IM. Technology journalist and BBC Click presenter LJ Rich notes that, in many countries where internet use is censored, Blackberry Messenger is used to bypass state-sponsored snoops. And she believes that the principles of IM survive - it is just that sites such as Facebook and Twitter let us talk to a wider audience via a wider range of platforms, including mobiles. "With social networks, we've gone from instant messaging to something that's more like conference calls," she says. Maybe IM will have the last laugh after all. Or, rather, the last LOL. I have been seeing this trend over the couple of years; with the growth of social networking (especially Facebook), people want to show off to all their hundreds of friends rather than have conversations with just one or a few people at a time. I still see IM as much easier, more reliable and faster but most people I know don't even log into IM anymore. Twitter is a novelty, a prime example of one. IM isn't a novelty, it's a basic tool of communication. It isn't going anywhere. As someone who happens to be deaf, I find IM a real boon to communication with my parents - it really does mean that it keeps me in touch! One thing i thought would feature in this article that wasn't even mentioned is the intrusive nature of IM. As soon as you log on you can be inundated with various conversations which ruins any other kind of web activity you are trying to get on with. Among teens and 20-somethings in the US, texting has taken the place of IM. These users are not necessarily in front of a computer all day, but cell phones are always on the table or in the pocket ready to respond to the vibration of a new text message. As I read this I was expecting the punch-line to be that Zoipfone and Skype had all but replaced IM as video calling was real-time voice and video over the internet. Certainly Skype is a simple download, web cam and headset to speak to people in real time from your PC or laptop. Zoip can be a bit temperamental but does offer some enhanced features, some of which are not free. Once again there is an IM facility built in to both for when your intended other party has left their PC. I find social networks a pointless soul-sapping waste of time and still use IM to keep in touch with friends and family as it's simple and (as the name suggests), instant. There's something that's been left out of this analysis, and that's that corporate decisions to block IM in the workplace has effectively killed this method of communication. A shame, seeing as more progressive employers harness it to encourage global teamworking with incredible effect. Facebook has an IM program built into it's webpage. That is the single reason IM has died, nothing else. Back in the days when Myspace was the dominant social network, people still used MSN and Yahoo. Email, social networking and IM all have their place. They don't compete with each other, they complement each other.